Our Metro Broadband 2.5G wireless radio broadband services supports one of the world’s first cost-effective high capacity 60GHz Point to Point radio enabling high performance, interference-free connections worldwide. Metro Broadband offers dedicated radio speeds of 50 Mbps to 2.5 Gbps, with the added advantage of being license-free, it allows us to deploy ultra fast deployment without digging up the ground and the hassle of other frequency bands requiring a license. 60 Ghz wireless broadband is an ideal solution for high data throughput rates. Its limitation are reach, so service is restricted to 1-1.6Km. 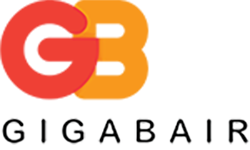 Gigabair offers a metro service in its city locations, offering 1-2.5 Gbps throughput service. Although 60Ghz services can be effected by rain, our dual band radios offer fail-over into 5Ghz services, ensuring connectivity can be maintained at all stages ,ensuring 100 Mbps throughput as a minimum. Our management and monitoring centre in Syston Leicester are connected into your radio 24/7. We are able to manage and monitor your radios, ensuring your radio is aligned correctly and your speeds are being delivered. We are alerted on any changes within your radio, making us a proactive service versus a reactive support service.